Compliancy Group has joined a select group of 21 other partners from across the health care industry to raise awareness for annual eye exams and promote growth for optometrists around the country. Compliancy Group is proud to announce a new partnership with Think About Your Eyes. Think About Your Eyes is a national public awareness initiative in partnership with the American Optometric Association (AOA). Compliancy Group has joined a select group of 21 other partners from across the health care industry to raise awareness for annual eye exams and promote growth for optometrists around the country. "The addition of new partners allows Think About Your Eyes to continue to grow eye exams and the industry overall," Jon Torrey, Executive Director of Think About Your Eyes, said in a statement. Compliancy Group's web-based HIPAA compliance solution, The Guard®, gives health care professionals confidence in their compliance. The Guard addresses the full extent of the regulatory requirements for HIPAA. Compliancy Group is dedicated to helping the eye care industry succeed as the endorsed HIPAA compliance solution of the AOA:Excel and a Visionary Donor to the American Optometric Association Political Action Committee (AOAPAC). 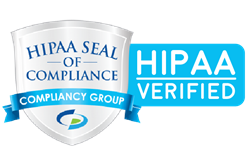 Compliancy Group is the eye care industry's choice for HIPAA compliance as the endorsed HIPAA solution for Luxottica, PERC, Coherent Eye Care, First Eye Care, Eyetopia, and many more. "Compliancy Group is dedicated to helping the eye care industry succeed," said Marc Haskelson, President and CEO of Compliancy Group. "We're taking another step toward securing the future of the eye care industry by joining Think About Your Eyes to grow the business of eye care. We advocate on the national stage in the best interest of our partners in eye care, all while providing our award winning compliance solution to doctors across the country." Compliancy Group's team of expert Compliance Coaches® field questions and guide users through the implementation process, taking the stress out of managing compliance. The Guard is built to address the full extent of HIPAA regulation, including fully automated documentation of policies, procedures, employee training, and remediation plans. With The Guard, health care professionals can focus on running their practice while keeping their patients' data protected and secure. Compliancy Group is HIPAA done right.